Dr James joined QAAFI’s Centre for Animal Science in October 2010. He was previously Senior Principal Scientist and leader of the Integrated Parasite Management Group at the Queensland Government’s Animal Research Institute and EcoSciences Precinct, following more than 20 years as researcher and lecturer at the South Australian Research and Development Institute, University of Adelaide and South Australian Department of Agriculture. Peter obtained his B.AgSc., and Dip. Ed. from the University of Adelaide, a Masters in Pest Management from Simon Fraser University, Vancouver and PhD in Entomology from the University of Minnesota. 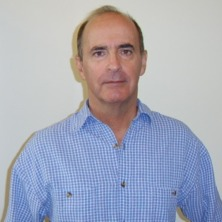 Peter has worked with ectoparasites and nuisance insects associated with production systems across most of Australia’s major livestock industries and regularly provides consultancy services to the animal industries and veterinary pharmaceutical companies. Use of Wolbachia for area-wide control and to arrest the southward spread of buffalo flies, (Haematobia [irritans] exigua), a major tropical cattle pest. Black soldier flies (Hermetia illucens) for waste recycling and a new protein source for intensive livestock production and aquaculture. Control of the sheep blowfly in Australia and New Zealand – are we there yet? Ramsay, A. M. M., Ponzoni, R. W., Jaensch, K. S., Ingham, V. M., Grimson, R. J., Smith, D. H. and James, P. J. (2003) Merino selection demonstration flocks background and update with 2001 drop hogget results. Wool Technology and Sheep Breeding, 51 3: 202-223. Do sheep regulate the size of their mallophagan louse populations? James, P.J. and Ponzoni, R.W. (1992) Fiber diameter variability in south australian merinos - phenotypic and genetic-relationships with wool quality parameters and fleece rot resistance. Wool Technology and Sheep Breeding, 40 1: 25-30. James, P.J., Gare, D.R., Singh, A.W., Clark, J.P., Ponzoni, R.W. and Ancell, P.M. (1991) Studies of the potential for breeding short tail merinos. Wool Technology and Sheep Breeding, 38 3-4: 106-111. James, P. J., Ponzoni, R. W., Walkley, J., Smith, D. H. and Stafford, J. E. (1984) Preliminary Estimates of Phenotypic and Genetic-Parameters for Fleece Rot Susceptibility in the South Australian Merino. Wool Technology and Sheep Breeding, 31 4: 152-157. James, P. J., Yeo, D. H. and Grove-Jones, A. (1983) Observations of pizzle-dropped wethers in the pastoral zone of South Australia. Agricultural Record, 10 15: 18-19. James, P. J. and Russell, D. W. (1980) Comparative efficiency of hand jetting, race jetting and shower dipping for application of insecticide to the fleece of sheep. Agricultural Record, 7 13: 59-64. James, P.J. and Warren, G.H. (1979) Effect of methylene dichloride and petroleum ether as wax solvents on the measured value of wax and suint content of wool. Wool Technology and Sheep Breeding, 27 4: 33-34. Godwin, Rosamond, Leemon, Diana M., Rice, Steven J. and James, Peter J. (2015). Biopesticides for house fly control: Development of commercial fungal formulations. In: Abstracts - TropAg2015 - Meeting the Productivity Challenge in the Tropics. TropAg2015, Brisbane Australia, (156-156). 16-18 November 2015. James, Peter J., Dobson, Robert and Rothwell, Jim (2015). Buffalo flies: a significant tropical cattle pest with expanding range in Australia and an impending threat to southern beef and dairy production. In: Abstracts - TropAg2015 - Meeting the Productivity Challenge in the Tropics. TropAg2015, Brisbane, (163-164). 16-18 November 2015. James, Peter J., Wardhana, April, Brown, Geoff and Urech, Rudolf (2015). Chemical prevention and treatment of Old World screwworm (Chrysomya bezziana) infestations for exotic incursions in Australia. In: Abstracts - TropAg2015 - Meeting the Productivity Challenge in the Tropics. TropAg2015, Brisbane Australia, (164-164). 16-18 November 2015. James, Peter J. and Lew-Tabor, Ala (2015). Control of Tropical Livestock Parasites into the Future. In: Abstracts - TropAg2015 - Meeting the Productivity Challenge in the Tropics. TropAg2015, Brisbane, (46-46). 16-18 November 2015. McGlashan, K., Estella, W., James, P. J., Connerton, I. and Chinivasagam, H. N. (2015). Development of an insect model to assess phage/Campylobacter interactions. In: Proceedings of the 18th International Workshop Campylobacter, Helicobacter & Related Organisms. CHRO 2015: 18th International Workshop Campylobacter, Helicobacter & Related Organisms, Rotorua, New Zealand, (195-195). November 2015. James, Peter J. (2015). Parasites expanding their range. In: Abstracts - TropAg2015 - Meeting the Productivity Challenge in the Tropics. TropAg2015, Brisbane Australia, (49-50). 16-18 November 2015. James, Peter J. (2014). Soft lights, black sheets and in-vitro breeding of Buffalo Flies. In: Entomological Society of Queensland General Meeting, Brisbane, QLD, Australia, (109-113). 9 September 2014. James, Peter (2011). Blowfly strike waves: Biology and control. In: Proceedings of the 93rd District Veterinarian's Conference. 93rd District Veterinarian's Conference, Dubbo, NSW, Australia, (91-97). 4-8 April 2011. James, Peter (2011). Flystrike control - Using fly biology. In: Proceedings of the Australian Sheep Veterinarians 2011 Conferences. Australian Sheep Veterinary Society Annual Meeting, Barossa Valley, SA, Australia, (1-7). 16-18 September 2011. James, Peter and Green, Peter (2011). Screwworm: Risk and recognition. In: Proceedings of the 93rd District Veterinarians Conference. 93rd District Veterinarians Conference, Dubbo, NSW, Australia, (72-77). 4-8 April 2011. James, Peter (2011). Sheep lice: Industry situation and changing control practices. In: Association of District Veterinarians of New South Wales. Conference, Proceedings of the 93rd District Veterinarians Conference. 93rd District Veterinarians Conference, Dubbo, NSW, (8-14). 4 - 8 April 2011. James, Peter (2011). Sheep lice: Tools in the toolbox. In: Proceedings of the Australian Sheep Veterinarians 2011 Conferences. Australian Sheep Veterinary Society Annual Meeting, Barossa Valley,South Australia, (18-22). 16-18 September 2011. James, P. J., Horton, B.J., Campbell N. J. and Evans, D.L. (2010). LiceBoss®: A decision support website. In: Turkiye Parazitoloji Dergisi. Fourth International Conference on Phthiraptera, Urgup, Turkey, (118). June 13-18, 2010. James, Peter J. (2010). Sheep body lice: An increasing problem in Australia? Increasing prevalence of sheep lice and advances in control. In: Proceedings of the 3rd AVA/NZVA Pan Pacific Veterinary Conference: Embracing Challenges. Pan Pacific Veterinary Conference 2010, Brisbane, Australia, (PD16a.1-1-PD16a.1-7). 23-28 May 2010. Tea tree oil: An effective control for sheep lice? James, P. J., Callander, J. T., Bolster, P.M. and Bolster, P.J. (2010). Tea tree oil: An effective control for sheep lice?. In: Turkiye Parazitoloji Dergisi. Fourth International Conference on Phthiraptera, Urgup, Turkey, (116-116). June 13-18, 2010. Rothwell, J. T., Morgan, J. A. T., James, P. J., Brown, G. W., Guerrero, F. D. and Jorgensen, W. K . (2009). Mechanism of resistance to synthetic pyrethroids in buffalo flies in south east Queensland. In: Proceedings of: 2009 ASP & ARC/NHMRC Research Network for Parasitology Annual Conference. 2009 ASP & ARC/NHMRC Research Network for Parasitology Annual Conference, Sydney, NSW, Australia, (92-92). 12-15 July 2009. Pain, S. J.,, Revell, D. K., and James, P. J. (2003). Effect of sulphur amino acids on epithelial immunity and parasite susceptibility. In: Proceedings of the Nutrition Society of Australia. 27th Scientific Meeting of the Nutrition Society of Australia, Hobart , Tasmania, (S58-S58). 30 Nov – 3 Dec 2003. James, P. J. (2002). Sheep lice: changing control practices and wool industry implications. In: 1st Sheep and Wool Conference, Hamilton, NSW, Australia, (567-573). 2002. James, P. J. and Crawford, S. (2001). Biology and population dynamics of sheep lice, implications for control. In: Scott Champion, FLICS - Proceeding of the National Conference on Flystrike & Lice IPM Control Strategies. National Conference on Flystrike & Lice IPM Control Strategies, Launceston, TAS, (96-105). 25-27 June, 2001. James, P. J., Moon, R. D. and Karlsson, L. J. E. (2001). Optimising the sensitivity of sheep inspection for detecting lice. In: FLICS - Proceeding of the National Conference on Flystrike & Lice IPM Control Strategies. National Conference on Flystrike & Lice IPM Control Strategies, Launceston, TAS, (331-340). 25-27 June, 2001. James, P. J., Karlsson L. J. E. and Campbell N. J. (2001). Partial flock treatments and removal of rubbed sheep as strategies for low residue control of midseason louse infestations. In: Scott Champion, FLICS: Proceedings of the National Conference on Flystrike and Lice IPM Control Strategies. National Conference on Flystrike and Lice IPM Control Strategies, Launceston, Tas., Australia, (346-352). 25-27 June 2001. James, P. J. and Riley, M. J. (2001). Sheep lice and the economic production of low residue wool. In: Scott Champion, National Conference on Flystrike & Lice IPM Control Strategies, Launceston, Tasmania, (139-143). 25-27 June 2001. James, P. J. and Nattrass, G. S. (2001). Sheep susceptibility and immune response to lice, potential for manipulation. In: National Conference on Flystrike & Lice IPM Control Strategies, Launceston, Tasmania, (209-217). 25-27 June 2001. Karlsson, L. J. E., Evans, D. E., Greef, J. C. and James, P. J. (2001). Sustainable sheep ectoparasite control using IPM. In: FLICS - Proceeding of the National Conference on Flystrike & Lice IPM Control Strategies. National Conference on Flystrike & Lice IPM Control Strategies, Launceston, Tasmania, (480-485). 25-27 June, 2001. Judson, G. J., Walkley, J. R. W., James, P. J., Kleemann, D. O. and Ponzoni, R. W. (1994). Genetic variation in trace element status of Merino sheep. In: Proceedings of the of the Australian Society of Animal Production 1994. 20th Biennial Conference of the Australian Society of Animal Production, Perth, Australia, (438-438). 4 - 8 July 1994. Ponzoni, R.W., Rogan, I.M. and James, P.J. (1992). Genetic improvement of wool production with special reference to wool for clothing. In: R. Cardellino and M. Azzarini, II Seminario sobre Mejoramiento Genetico en Lanares. Seminario sobre Mejoramiento Genetico en Lanares, Piriapolis, Uruguay, (63-82). 1992. James, P. J., Ponzoni, R. W., Walkley, J. R. W. and Whitely, K. J. (1990). Genetic and phenotypic parameters for greasy and scoured wool colour in South Australian Merino Sheep. In: Proceedings of the Australian Association of Animal Breeding and Genetics. Australian Association of Animal Breeding and Genetics 8th Conference, Hamilton and Palmerston North, New Zealand, (521-523). 1990. Ponzoni, R. W., Rogan, I. M. and James, P. J. (1990). Genetic improvement of apparel and carpet wool production. In: Proceedings of the fourth world congress on genetics applied to livestock production, Edinburgh, 23-27 July, 1990. Fourth World Congress on Genetics Applied to Livestock Production, Edinburgh, Scotland, (149-166). 23-27 July, 1990. Kleeman, D. O., Ponzoni, R. W., Walkley, J. R. W., Walker, S. K., Smith D. H., Watchman, D. K., Jamieson, R. and James, P. J. (1990). Genetic parameters for carcase traits of the South Australian Merino at 16-18 months of age. In: Proceedings of the Australian Association of Animal Breeding and Genetics. Australian Association of Animal Breeding and Genetics 8th Conference, Hamilton and Palmerston North, New Zealand, (529-530). 1990. James, P. J. (1990). Strategic use of, and alternatives to, chemicals for the control of arthropod pests of livestock. In: Proceedings of the Australian Society of Animal Production. 18th Biennial Conference of the Australian Society of Animal Production, Adelaide Australia, (37-52). July 1990. James, P. J., Ponzoni, R. W., Walkley, J. R. W., Whitely, K. J. and Stafford, J. E. (1987). Fleece rot in South Australian Merinos, heritability and correlations with fleece characters. In: McGuirk, B.J., Merino Improvement Programs in Australia. National Symposium on Merino Improvement Programs in Australia, Leura, NSW, (314-346). 1987. James, P. J., Ponzoni, R. W., Walkley, J. R. W., Whitely, K. J. and Stafford, J. E. (1987). Fleece structure and fleece rot susceptibility in South Australian Merinos. In: Proceedings of the Australian Association of Animal Breeding and Genetics. Australian Association of Animal Breeding and Genetics 6th Conferencee, Perth WA, (352-356). 1987. James, P. J., Ponzoni, R. W., Walkley, J. R. W., Smith, D. H. and Stafford, J. E. (1983). Preliminary estimates of phenotypic and genetic parameters for fleece rot susceptibility in the South Australian Merino. In: Second National Symposium on Sheep Blowfly and Flystrike in Sheep, Sydney, (424-430). 6-8 December 1983. James, P. J. and Russell, D. W. (1982). Effect of shower dipping period on insecticide penetration into the fleeces of sheep. In: Proceedings of the Australian Society for Animal Production. Australian Society of Animal Production Biennial Conference, Brisbane, Australia, (527-530). 1982. James, P. J. and Warren, G. H. (1979). Fleece and skin wax barriers to wetting and fleece rot. In: National Symposium on the Sheep Blowfly and Flystrike in Sheep, Sydney, June 1979. National Symposium on the Sheep Blowfly and Flystrike in Sheep, Sydney , Australia, (127-133). 25-27 June 1979.